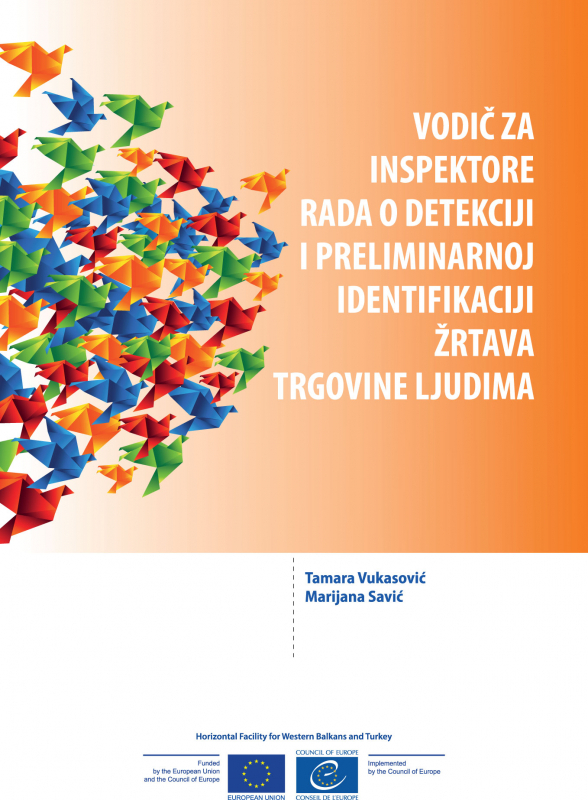 National experts for the protection of human trafficking victims, Tamara Vukasovic and Marijana Savic, director of Atina, compiled the Manual for labor inspectors on the detection and preliminary identification of human trafficking victims. This pocket manual is designed to serve as a tool for labor inspectors to assist them in detecting cases and conducting preliminary identification of human trafficking victims abused for labor exploitation. This manual also provides clear guidelines to inspectors on the steps necessary to undertake once a victim is identified. The application of indicators and guidelines, that are integral components of this manual will improve the detection and preliminary identification, thereby facilitate providing help to victims. Moreover, it will strengthen the cooperation between institutions at national and local level among various stakeholders in charge of prevention and fight against human trafficking. The publication is composed within European Union and Council of Europe joint project “Prevention and Fight Against Human Trafficking in Serbia”, implemented thanks to financial support of European Union and Council of Europe. It can also be downloaded from NGO Atina website following this news.